UPDATED: Sat., Feb. 24, 2018, 10:40 p.m.
PYEONGCHANG, South Korea – The International Olympic Committee on Sunday upheld the ban of Russia from the Pyeongchang Winter Games because of doping, denying the 168 athletes competing here as “Olympic Athletes from Russia” the right to march in the closing ceremony under their country’s flag. The IOC’s full membership unanimously approved the recommendation of the executive board just hours before the final competition and the closing ceremony. 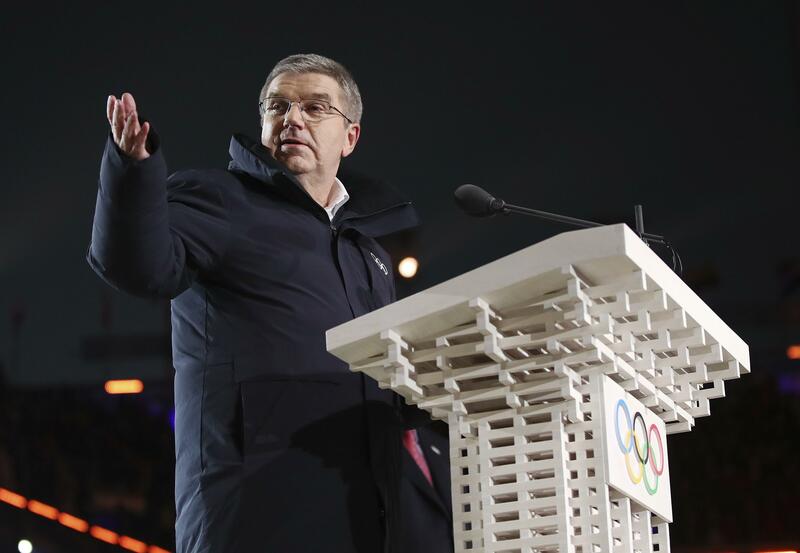 Fifty-two of the IOC’s 100 members were present for the vote on the fallout from the massive Russian doping scandal, which has tarnished the IOC and raised doubts about its ability to protect clean athletes. The IOC repeatedly said going into the Olympics that Russian athletes had been “rigorously tested,” implying they were unlikely to fail drug tests. The IOC holds testing samples for 10 years, often uncovering positive cases years after medals had been awarded. The IOC did not bring up this contingency in considering Russia’s possible reinstatement. Russia was banned from the Olympics on Dec. 5 because of widespread doping at the 2014 Sochi Games. The IOC left open the possibility of reinstatement ahead of the closing ceremony if the Russians met a series of criteria, and Russian athletes were allowed to participate under the Olympic flag. The Russia ban and the positive doping results have been a distraction during the entire Pyeongchang Olympics. They also disrupted the Rio de Janeiro Summer Olympics. Bach has defended the right of individual athletes to be judged separately and shied away from collective punishment. His stand has been seen as “soft on Russia” by many who called for an outright ban. He also tried to draw a line under the scandal. “We believe this should be the end of this big problem,” Tarpischev added. Published: Feb. 24, 2018, 6:49 p.m. Updated: Feb. 24, 2018, 10:40 p.m.